'Breed the best to the best and hope for the best' is the maxim by which many top-class horses were produced, and Royal Ascot winners September (by Deep Impact out of Peeping Fawn), Benbatl (by Dubawi out of Nahrain) and Highland Reel and Idaho (both by Galileo out of Hveger) prove the approach can be effective. Hveger, third in the Australasian Oaks at the highest level in her racecourse pomp, is among three out of the eight dams of Group 1 winners this week who have black type, along with Grade 2 Rampart Stakes winner D'Wildcat Speed, the dam of Lady Aurelia, and Louisiana Downs restricted race scorer Mekko Hokte, the dam of Caravaggio. Laddies Poker Two, without black type, earned a Racing Post Rating of 114, higher than any of theirs, for her wide-margin victory in the Wokingham Handicap in 2010 before producing Winter at stud. Persario, the dam of The Tin Man, also had no black type but a decent RPR of 97 for winning a 20-runner Class 3 handicap on Kempton's old six-furlong straight sprint course. But the mares who produced the other three top-level winners at Ascot give hope to all breeders operating on a shoestring. Ribchester's dam Mujarah, a Marju mare out of a smart daughter of Mehthaaf, was well beaten on all five starts, struggling to a best RPR of 58 before being sold by Shadwell to the Queen Anne Stakes winner's joint-breeder Andrew Thompson for just 18,000gns. Mujarah was sold privately to Godolphin, presumably for a tidy profit. Alina, a daughter of Galileo who is the dam of Barney Roy, was seventh in both her starts in decent French maidens and was awarded a best RPR of 71 before being moved on to the St James's Palace Stakes hero's breeders Sun Stud for 65,000gns. 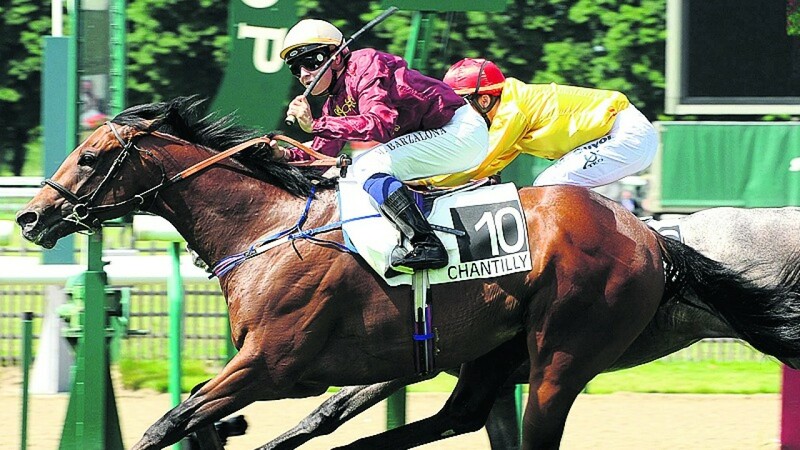 She has now joined the champions and star producers who comprise Dubawi's book of mares. The Fasliyev mare Miss Brown To You, meanwhile, was raced by Bill Gredley and although her only success came in a Class 4 handicap at Chelmsford – for an RPR of 79 – she was persevered with as a broodmare by the owner and rewarded the loyalty by producing for him the popular Gold Cup winner Big Orange. Habitually exceeding punters' expectations, Spectre has quietly risen to become one of the most valuable racemares in training in Europe still in the ownership of a smaller organisation. The equal of Al Shaqab Racing's Duke of Cambridge Stakes winner Qemah with a Racing Post Rating of 116, only the Coolmore pair of Minding and Seventh Heaven and Elite Racing Club's classy sprinter Marsha have better figures among the older fillies and mares in Europe. The four-year-old won the Prix Imprudence last year at 22-1 before finishing fifth to La Cressonniere in the Poule d'Essai des Pouliches at 20-1; then came a third to Zelzal in the Prix Jean Prat at 18-1; fourth to Ribchester in the Prix Jacques le Marois at 40-1; and second to Vadamos in the Prix du Moulin at 20-1. After a few below-par runs this year, she once again put it up to the cream of the colts at a huge price when beaten just two and a half lengths by Ribchester into fourth in the Queen Anne Stakes on Tuesday at 50-1. Former Bayern Munich defender Markus Munch is the breeder, owner and trainer of Spectre, who is by exciting young French sire Siyouni – on the scoresheet at Ascot this week with Jersey Stakes winner Le Brivido – out of a half-sister to high-class international performers Ibicenco and Irian. If Munch chooses to cash in by selling his enormously talented mare to one of Europe's leading breeders, he should net a profit that will give him a bigger thrill than topping the Bundesliga with Bayern. A small but not insignificant enhancement to the appeal of Spectre as a future broodmare is that Siyouni is by Pivotal, who is developing into a highly influential broodmare sire and was in red-hot form in this department at Royal Ascot. Daughters of Pivotal produced Wolferton Handicap winner Snoano; Queen Anne Stakes second Mutakayyef; Hampton Court Stakes second Orderofthegarter; Gold Cup third Harbour Law; and Coronation Stakes third Hydrangea. The identities of the fathers of those horses demonstrate that Pivotal mares appear to click with many different lines. Although Sea The Stars, sire of Mutakayyef, is a half-brother to Galileo, sire of Orderofthegarter and Hydrangea (and Rhododendron, for that matter), Nayef supplied Snoano and Lawman is responsible for Harbour Law. The other Group 1 winners out of Pivotal mares bear out their versatility. Mayson is by Lawman's sire Invincible Spirit and Precieuse is a daughter of Nayef's son Tamayuz; but Main Sequence is a son of Aldebaran, Polarisation is by Echo Of Light and Winsili is by Dansili. Spectre is not the only paternal granddaughter of Pivotal who shone at Royal Ascot. 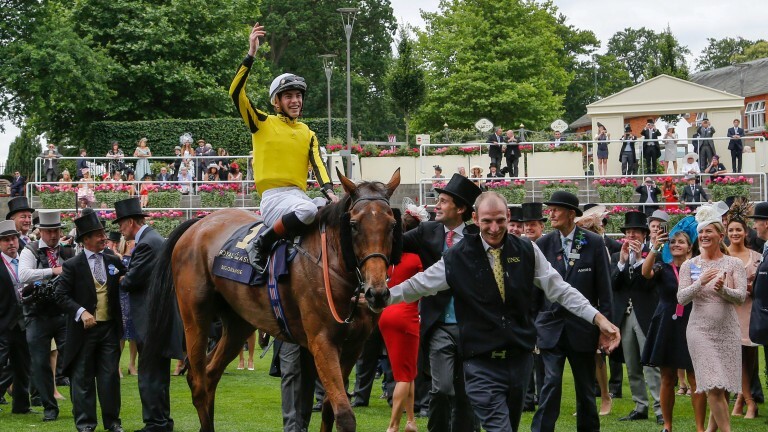 Queen Mary Stakes heroine Heartache – already a precious long-term breeding prospect as the sort of sharp and speedy filly that has worked so well when mated with Galileo – is by Pivotal's son Kyllachy. Only weeks after Pour Moi, switched to covering jumps mares at the start of the year, supplied Derby hero Wings Of Eagles, two other sires who have recently been repackaged as 'dual-purpose' showed they are still serious sources of Flat talent at the royal meeting. That the pair in question are Champs Elysees and Mount Nelson will rub salt into the wounds for British Flat breeders on smaller budgets as both were ticking over with respectable results while standing at reasonable fees in the vicinity of Newmarket but were not receiving enough support to prevent them from being sold to jumps-oriented organisations across the Irish Sea last winter. Champs Elysees, who has no less than a Gold Cup winner on his record with Trip To Paris, joined the Castle Hyde Stud roster after seven seasons at Banstead Manor Stud. He made his mark this week with fast-finishing Hardwicke Stakes second Barsanti and Ascot Stakes runner-up Endless Acres. Mount Nelson did little wrong in his eight-year spell at Newsells Park Stud before being sold to Boardsmill Stud – in fact he also had a Royal Ascot winner to his name in Berkshire. He very nearly added at least another to that tally with Majeed thrusting late but just denied by Snoano in the Wolferton Handicap and Librisa Breeze a rather unlucky-in-running fourth in the Diamond Jubilee Stakes, while Bartholomeu Dias was fourth in his attempt to emulate Berkshire by taking the Chesham Stakes. Of course, just because Champs Elysees and Mount Nelson are marketed primarily as jumps stallions that is not to say they are unavailable to Flat breeders, and perhaps those who think outside the box by using them might be rewarded by useful winners in their own colours or even a fair result in the sale ring with a good-looking individual. Dabirsim will rightly be the toast of the first-season sires after putting a first black-type scorer on the board courtesy of Different League in the Albany Stakes to go with his impressive strike-rate of six winners from 12 early runners. 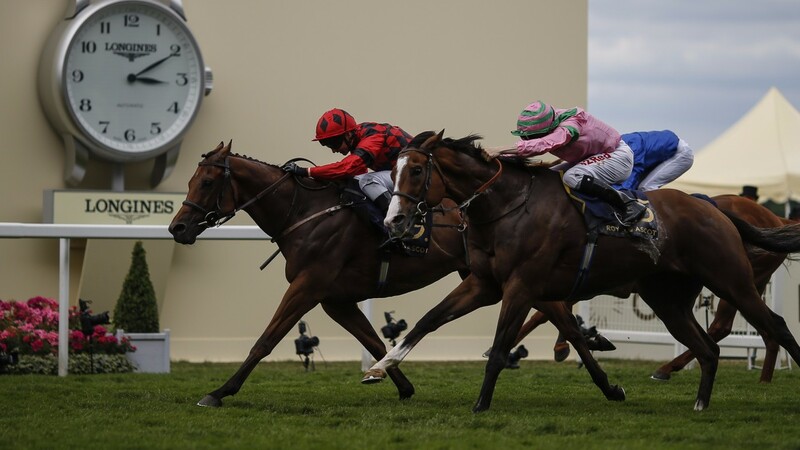 But spare a thought for his fellow freshman Havana Gold, who went agonisingly close to getting the winner of arguably the most prestigious two-year-old contest of the meeting, the Coventry Stakes, when Headway failed by just a head to reel in Rajasinghe to finish second. Compensation surely awaits for Headway and he looks easily capable of striking in black-type company, as did National Stakes winner Havana Grey, who is probably better than he showed when tenth in the Norfolk Stakes. Havana Gold fielded no fewer than five first-crop runners at the royal meeting this week, a creditable achievement in itself even if Headway was the only one to trouble the judge. The Tweenhills stallion was the recipient of another fillip of sorts at Ascot this week as his sire Teofilo is the source of the admirable King Edward VII Stakes winner Permian.